A majority of college-bound students gearing up for school will not consider buying a Mac laptop, a study reveals. Instead, students are gravitating toward affordable netbooks from a variety of manufacturers, according to Retrevo, a consumer electronics website, that conducted the study. Retrevo says Macs are at the bottom of student wish lists this year. While 49 percent of students will buy full-sized Windows laptops, 34 percent will purchase netbooks. Bringing up the rear is Mac with only 17 percent of students saying they intend to buy one, the study shows. The most affordable new Apple laptop I could find sells for $949 (white MacBook). Compare that to the 18 percent of survey participants who say they won't spend a dime over $1000 for a laptop and Apple doesn't look to be the big man on campus this year. A majority of penny-pinching students, 58 percent of them, said they plan on spending less than $750 on their back-to-school laptop. Apple has been targeting the education market this year with a special promotion offering a free iPod Touch with every MacBook sold. Judging from Retrevo's study the lure is not that effective. Apple's promotion ends on September 8. Cheap netbooks, some even under $200, may just be good enough for students tight on cash and already saddled with credit card and tuition debt. With long battery life, a variety of designs, these affordable mini-laptops give students more for their tight budgets. 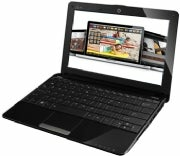 While netbook sales are strong, Apple has been reluctant to enter the cheap ultraportable computer war. Speculation about such a device has been floating around for over a year now, but Apple execs blasted the idea of an Apple netbook back in March. But Apple could have something else in mind for the education market. The Cupertino company is rumored to launch a tablet-sized device either this year or in early 2010, which could have broad applications for the education sector as well. We might want to take the Retrevo study with a grain of salt considering it only polled 300 site visitors. And, personally, I'm not terribly surprised by its findings. Since when has Apple ever been the big man on campus when it comes to computer operating systems? If 17 percent of college-bound students actually do what they told Retrevo and buy a Mac, that's actually pretty good news for Apple. Market research firm Gartner points out the Mac market share here in the United States is a paltry 8.7 percent. Plus, according to market research from NPD, Apple has its own bragging rights. It owns 90 percent of the over-$1000 PC market. Hey, maybe Microsoft's laptop hunter ad campaign is working? Next we'll find out college students prefer Bing to Google. Can we hide from assimilation? Whether you are part of the Borg or not, you still might want to check the latest Top 10 Netbooks and get some shopping tips on how to buy a netbook.